XEO is a world leader in e juice manufacturing based in China. You hear a lot about American vapor juice, but XEO E-Liquid and the company itself has become involved in the fight to keep Americans vaping too. Don’t dismiss them because they aren’t from the U.S. Even a leader like V2 sees fit to do business with XEO Group. XEO develops, produces, and distributes e juice and vaping devices worldwide, some with and some without nicotine. They aim for quality, not simply quantity, and make every effort to satisfy customers through their commitment to exceptional standards that translate equally between the two nations. XEO encourages customers to get in touch if they have any questions. The company doesn’t get into vape mods; just low-level stuff for new vapers. They sell disposables and small eGos. One-time mini cigs come in lots of flavors such as tobacco, menthol, and refreshing fruit varieties. Starter Kits with rechargeable batteries and charging equipment are available in two styles: the mini cig format and slender eGo e cigs. They are simple, inexpensive, and well-made. Perhaps better-known for their e juice, XEO makes both pre-filled cartridges for cigalikes and e juice by the bottle. XEO E-Liquids are now carried at V2 along with Black Note and Zig Zag, so you can trust this brand to be high-quality. V2’s reputation is too good for them to do business with any slackers in the industry. Whereas American firms offer a range of nicotine strengths, XEO doesn’t go that route with all of their products. They choose one or two and you take it or leave it. Flavors like Rich Tobacco, Strawberry Menthol, and Rich Vanilla hit the right notes with vapers accustomed to a certain variety of flavors. Rather than try to reinvent the e juice wheel, XEO sticks with what they know their customers already love: simplicity. Cartridges are available with zero nicotine but also 8 mg and 16 mg as opposed to only 16 mg in the bottle. X-Treme e juices by XEO are available in more nicotine values and, once more, those assorted but proven flavors. We are now in the age of total transparency. XEO lacks some of that openness. I’m not interested as much in what the flavors supposedly reflect as much as in their ingredients and composition. Are X-Treme flavors thicker? Do they contain 50/50 propylene glycol (PG) and vegetable glycerin (VG)? Images of their facility and workers promise a compliant manufacturing environment with safety and cleanliness at the top of their priority list, but where do ingredients come from? I’d like to see a bit further into their supply chain. When I wanted to learn more about XEO’s e juice, I visited V2 where they take pride in their transparency. Here I found out several things about XEO e juice, although still not the full story. I learned that their product’s PG/VG balance varies according to the flavor and how much flavor it should carry, sweetness, throat hit, and vapor goals. V2 posts a dashboard showing throat hit, tobacco flavor, sweetness, and PG/VG plus some information about what these values all mean. This was very helpful in enabling me to imagine what a flavor would really taste like and how it would perform in my tank, even which coils might be better suited to use with XEO e juices. V2 carries XEO 10 flavors and sells them in 30-ml bottles. These cost $19.95 each, a very affordable price and strongly competitive with V2’s own series of 12 flavors in 25-ml or 50-ml bottles. Three XEO offerings at V2 are tobacco varieties; one is a minty grape, there’s a coffee style, and the last ones are all fruits. The most interesting and unusual is a peach liqueur. The owners of this website may receive commission from recommended products, or from advertisements on our site. Thanks for visiting our site! 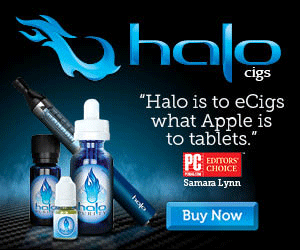 Electronic cigarettes are not FDA approved smoking cessation devices. For quitting smoking, please seek the appropriate help from a health professional.